October is recognized as American Pharmacist Month. The Pearson Medical Team would like to extend its greatest appreciation to those dedicated to improving patient health outcomes. Your vital role in the healthcare system has transformed from working behind a white counter to providing support and counseling to patients, educating and providing resources for a healthier lifestyle, and administering immunizations. Visit the APHa website and learn more about what you can do in the month of October! On our way to the Sunshine State! Pearson Medical will be exhibiting at Booth #1048! 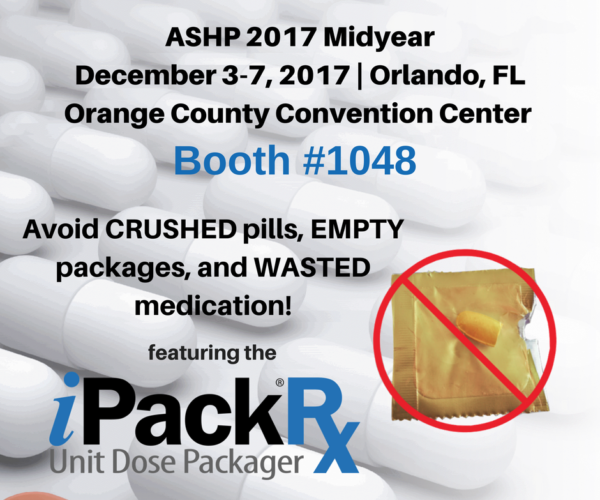 Stop by our booth to see the iPack® Rx Tabletop Unit Dose Packager and our new release of m:Print® Bar Code Labeling Software Version 3.9.1!